DIY Christmas Decorations | The whiz One! With homemade Christmas gifts and Christmas appetizers, you make yourself, can save money, the same thing also with your Christmas decorations. So try these homemade ideas for your holiday decorating that can’t break your bank. To create this calendar, start by spraying an old frame with a metallic base. Create tags using an online template. Mix in gold, silver and neutral ornaments to tie the whole Calendar together. Creating this simple, festive wreath from Design Improvised is easy and won’t drain your wallet! Get this look by simply hot gluing bows of various colors to a Styrofoam wreath. It only takes about 20 minutes to complete. Put some simple odds and ends to good use for this easy craft from Living Well, Spending Less. Glue the candy canes to the can, tie with a red ribbon, and fill with artificial or real poinsettias. Felt, a fabric pencil, pearl embellishments, red ribbon and a hot glue gun are all you need for this cute decor from Stay At Home Artist! 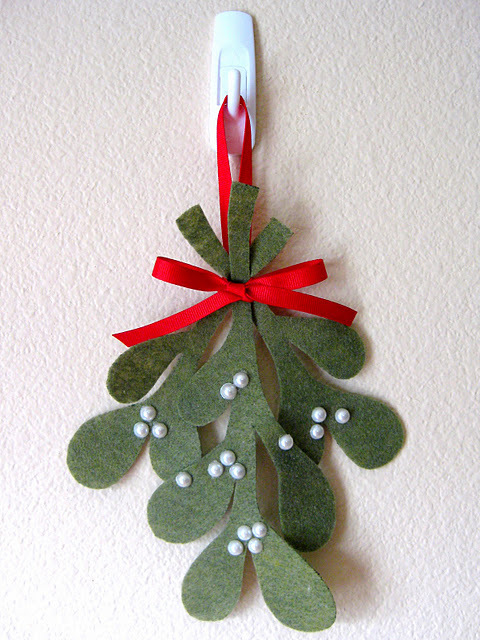 Cut out your felt mistletoe using a template provided and arrange pearls how you like. Tie with ribbon and hang. Wrap bows around your dining room chairs you can even tie on Christmas ornaments for extra sparkle. Secure on the underside with tape as needed. 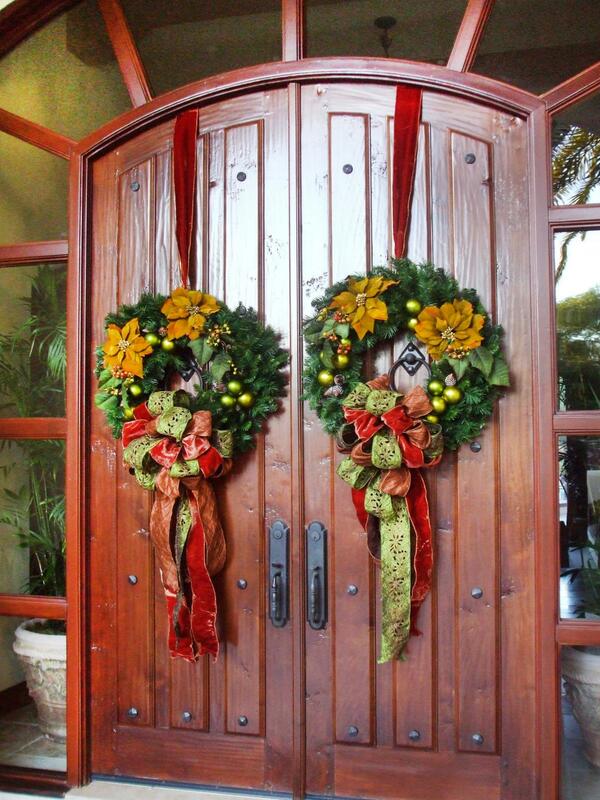 Stack wreaths and give classic winter door decor a pick-me-up. 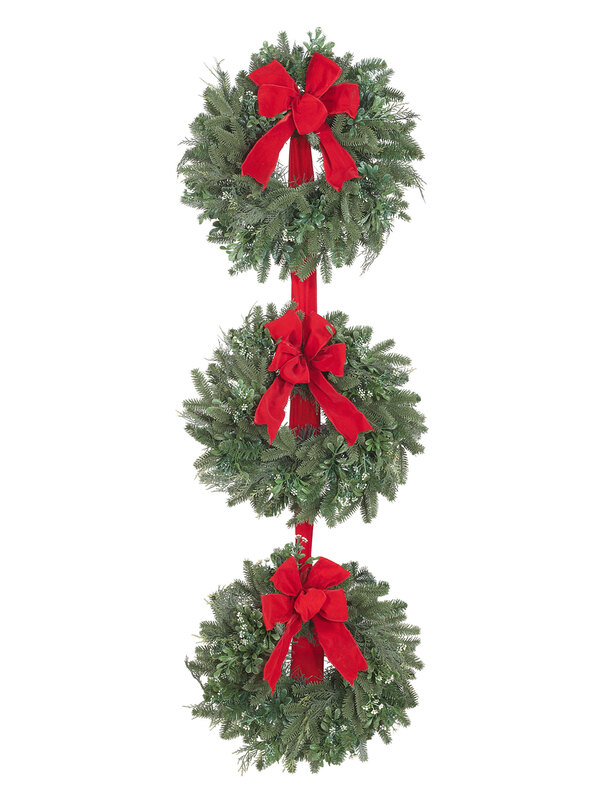 Purchase three wreaths in different sizes, hang on top of each other and add accessories. Photo credit from lynsey-sweetkoko.blogspot.com/:It’s Christmas Time! 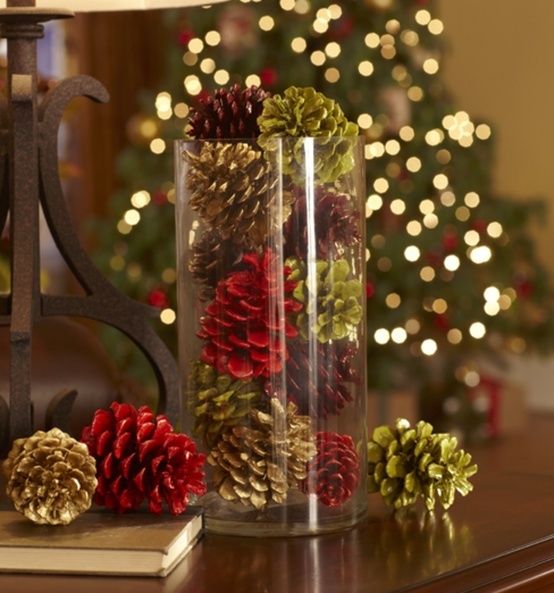 Dip pinecones in gold paint or use a mixture of water, glue, and glitter for a sparkling effect. Place on side tables or use to fill baskets and bowls. These baubles are sure to catch your eye. Take a clear ornament, add clear floor wax inside, pour in a glitter of your choice, shake and enjoy! These are great gifts that you can decorate differently each time. 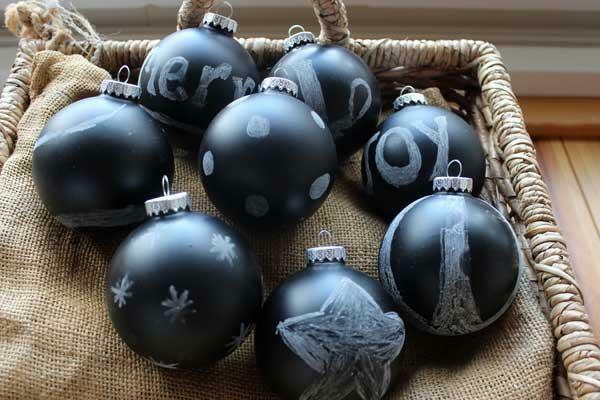 Paint your plastic bulbs with chalkboard paint, let dry, then start drawing your holiday decorations on. These chair toppers are simple to make, washable, and charming! 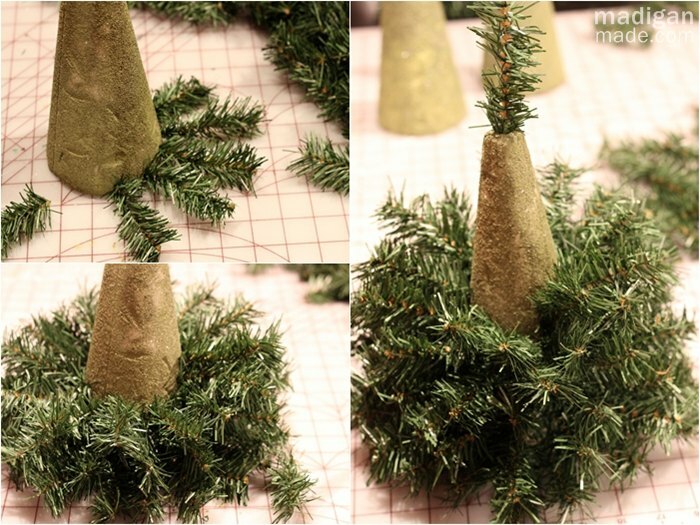 Watch and learn as Make It-Love It shows you how to add some color to your dining room with these felt Santa Claus Hats. Check these materials off of your list: Black, white and orange acrylic paint, a paintbrush, baby food jar and ribbon. Crazy Little Projects suggests that you paint your jar and decorate with a snowman face. Add ribbon to hang your ornament. Grab your favorite hot chocolate brand and toppings, a clear mug or mason jar, and start layering, according to How Does She? Keep a few stashed in the guest room for visitors who stay with you during the holidays. All they need to do is add hot water and enjoy! Tie a bow around your throw pillows with holiday-colored ribbons, and they’ll look just like Christmas gifts! Add a rhinestone pin for an extra decorating kick. 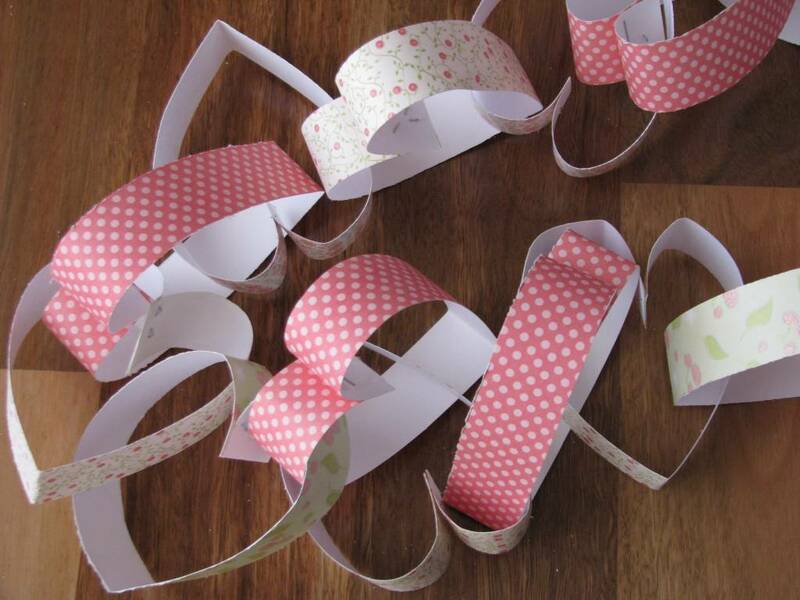 Make festive paper chains with strips of wrapping paperâsimply glue a loop together, and then string another paper strip through and repeat the process. Photo credit from fiskarscraft.typepad.com/: Do you make your own Xmas Cards? Do you hang onto Christmas cards that are too pretty to throw out? Turn them into works of art. Attach a card front to mat board using Spray Mount, double-sided tape, or rubber cement. 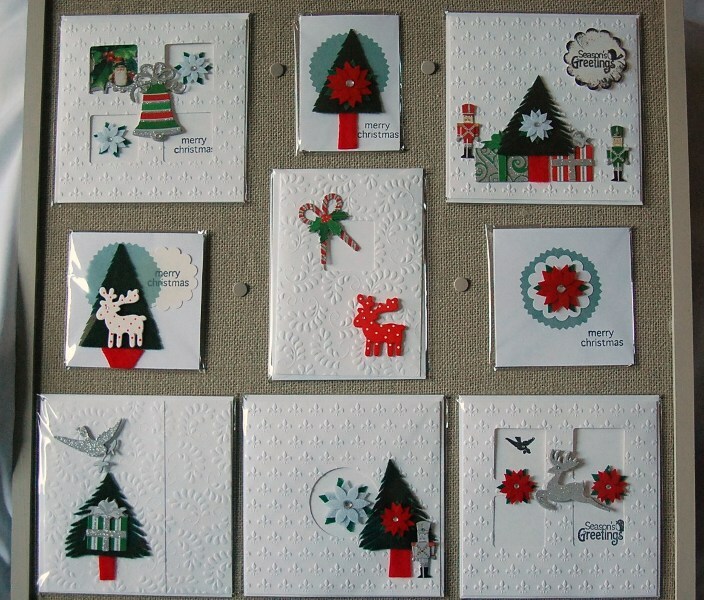 Trim to fit just a single card, or cover a large piece of mat board with multiple cards, and then decorate a doorway or tree. By folding your magazine page over page, you can turn it into a cute, cheap Christmas magazine craft. Trim with tinsel and ornaments left over from your holiday decorating, or spray gold or silver. All you need are paper plates or white cardstock, and you can make a full chorus of angelic little statues, a great decoration for a centerpiece or tree. Line a driveway, mantle, staircase, or the middle of your dining room table with homemade luminarias for a warm, Christmas decoration. Spray paint artificial trees (big or small) with white paint for a clean, sophisticated decoration. 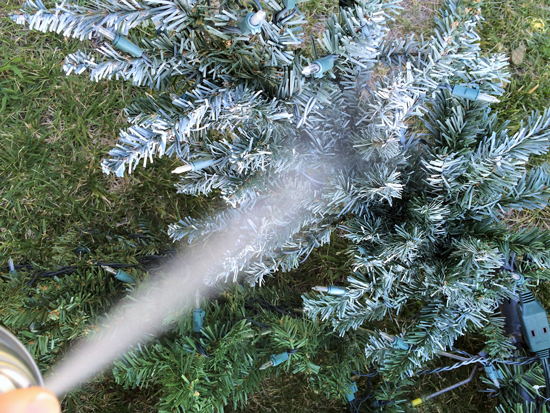 Plain dry branches from your yardâwhether from green firs or bare deciduous treesâmake excellent decorations when you spray with silver or gold paint. Hang, or tuck in a vase to decorate an entryway or dining room. Plus, add ornaments to the branches for an instant Christmas tree. Repeat design elementsâlike this duo of hanging evergreen boughsâfor a look that’s sophisticated and classic. 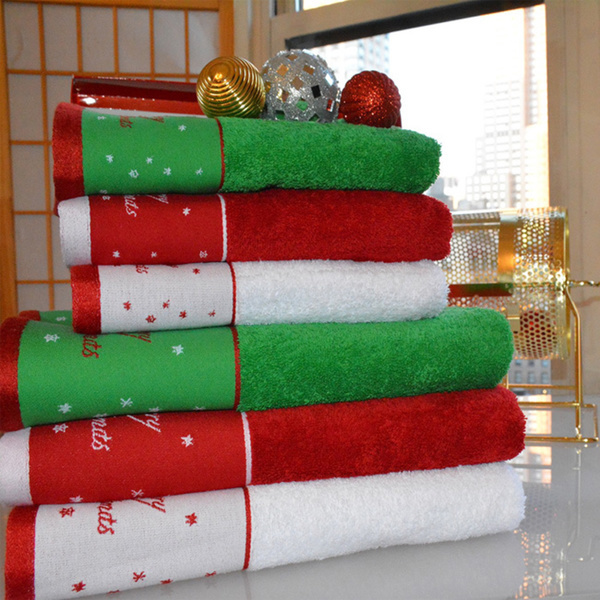 Stack red, white, or green bath towels, then tie together with coordinating ribbon to create a “gift-wrapped” look for a guest bathroom or to decorate during a party. Take clear vases or bottles, fill them with water, and add holiday-colored food coloringâa few drops will do. 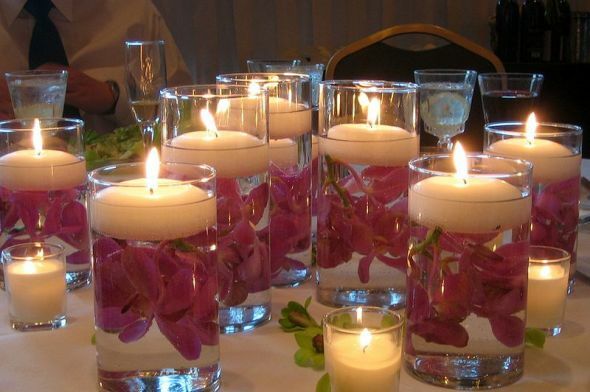 Then line the bottles up in a row, or decorate with floating candles for a festive touch. 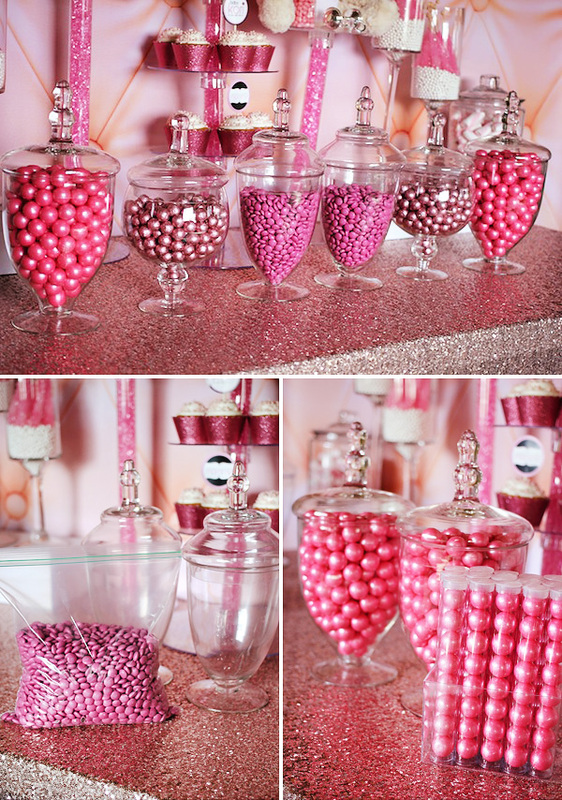 For a fast, sweet decoration, put out bowls of holiday candy in pretty, stemmed glassware.